Long time readers of the blog know that I have a little tradition here as each year comes to a close. I like to honor (or roast) those airlines that were flying at the beginning of the year but didn’t make it until the end. This year’s list is shorter and less prolific than last year, but there are still some worthy mentions in here. (See past lists.) Please keep in mind that this isn’t a comprehensive worldwide list but rather a highlight (or lowlight) reel. Ah little Zambian Airways. On a continent where airlines come and go every day, Zambian survived for over 60 years, and that’s no small feat. Granted, it was only in the last 10 years that the airline tried to survive without government help. You might remember these guys flying DC-10s to New York . . . oh wait, that wasn’t them. That was actually Zambia Airways, a completely different airline. These guys have never flown anything larger than a 737, as best I can tell and most of their fleet was made up of props. I doubt they’ll really be missed that much. With a name like flyLAL, you’d think this airline had started within the last couple years, but nay, it’s been around longer than Zambian. Of course, back then it was simply the Lithuanian-based aircraft of Aeroflot. After Lithuania gained independence, the government built this airline from the remains of Aeroflot in the country. It never really made money, and in 2005 the airline was privatized. Without government backing, this thing was doomed. I’m amazed it took as long as it did for them to fold considering all the competition in the area. You would think that in a country with over 1 billion people and a very small number of airplanes, a startup would do ok. Bzzt. Not in this case. East Star came on the scene in 2006 with the hope that private airlines might have a bright future. It crumbled quickly. The airline was heavily in debt and it was ready to collapse. The airline’s chief, Lan Shili (not to be confused with Lan Chile) tried to flee the country. That’s, um, not a good sign. They did catch him, however, and I imagine he’ll be tried if he doesn’t end up “committing suicide” first. There’s really nothing like a Russian oligarch to turn an airline into a spectacular failure. In this case, Alexander Lebedev, a man who also owns 29% of Aeroflot, saw his dream crash into the ground when Blue Wings was shut down. Blue Wings was a German airline that flew people to Turkey and Russia. Earlier in 2009, the airline was put on a temporary license because it was thought to be broke. Now Lebedev says it isn’t broke, but the airline remains shut down by the government. Word on the street is that Lebedev wants to merge it with his other low cost carrier, Red Wings, and move it to Detroit. UPDATE: BlueWings lives again! Thomas from CH-Aviation tells me they’re back. Let’s face it. Nobody cares about little Dirgantara . . . except for former employees of America West. See, Dirgantara may have been a backwater airline deemed unsafe by even the Indonesian government, but it also held the airline code AW. Every America West employee wondered at some point why we didn’t have the AW code. And when we looked it up, we found Dirgantara Air Service of Indonesia. Incredibly, this airline outlasted America West by a couple of years, but now they’re both gone. Maybe Air Wisconsin is interested . . .
How about a nice political mess? We certainly have that here with Air Senegal. Royal Air Maroc owned 51% of Air Senegal with the Senegalese owning the rest. Wanna guess what happened? Royal Air Maroc said it wanted to pull out of the airline, probably because it was a money-losing mess. Senegal said they would take it over, but then the courts said Royal Air Maroc couldn’t ditch the airline. Whatever. Now it’s dead. I’m sure the Senegalese will simply create a new carrier to be the shining light of the country. Actually, they already have. Senegal Airlines starts next year. This is one I can’t keep straight. So Air Fiji used to be called Air Pacific, but today’s Air Pacific used to be called Fiji Airways. Meanwhile, Air Pacific continues to fly as the international carrier of Fiji (with some domestic services as well) while tiny Air Fiji folded. The airline hasn’t been in good shape for a long time. It even suspended operations back in 2008 only to bounce back for one last run around the islands. Now it’s fleet is permanently grounded, but from what I can tell, there’s plenty of service in Fiji from other carriers. Maybe that’s why they’re gone. You know I was hoping that our Italian entry into the list this year would be Alitalia, but sadly we’ll have to settle for Myair as Alitalia continues to survive. These guys were a mess, but in typical Italian fashion, they tried to go out with a flourish. They were in debt and completely broke, so what did they do? Apparently, when they couldn’t afford their insurance premiums, they opted to simply try to write checks that they couldn’t cover but they got caught. I’m surprised the workers didn’t go on strike just because it’s what they do. Gotta love the Italians. These are the guys who just wouldn’t die. SkyEurope was one of the low fare pioneers of Eastern Europe that started up around the same time as Wizz Air, but they never really made any money at all. While they remained based in Bratislava (Slovakia), they kept bouncing around looking for profitable places to stick airplanes. They never quite figured it out. It’s too bad, because I hear they did a nice job on`board. There were daily rumors about them going bust, but they managed to hold on longer than most would have expected. On paper, this sounds like a good idea. KD Avia was based in Kaliningrad. Yes, that’s the part of Russia that doesn’t actually touch the rest of Russia. It’s wedged between Lithuania and Poland as one of Russia’s few year-round ports. The airline was around for many years beginning after World War II, but it only recently detailed its new plan to take advantage of its location to bridge the east and the west in a hub operation. That’s apparently not a very good plan. Just ask Austrian. Then again, KD Avia didn’t really get much of a chance to prove it one way or the other. Who knows the name Pace? That’s what I figured. Now, who remembers Hooters Air? Well those planes were actually Pace airplanes. Pace was founded by former Piedmont people.as a charter operator, but it was its most recent leader who made a name for himself as being, um, pretty damn sketchy. Apparently a lot of employees are owed money, but my guess is they’ll never get it. The CEO was recently arrested for not paying healthcare premiums and he could get up to 10 years in prison. This is a guy who only bought the airline a few months earlier promising to save the airline. Or not. Americans may only know flyglobespan as that goofy airline that flew from random US cities to random UK cities, but . . . well actually, that was a big piece of what they did in the past. But at its heart, flyglobespan was the largest Scottish airline, taking Scots and their kilts to far flung destinations. Now they are no more. I really only heard awful things about this airline. They canceled flights, kept people delayed for days, and simply made life miserable for a lot of travelers. Though Scots may miss having a large international airline, they probably won’t miss this being it. Last but certainly not least, we have what is becoming a pre-holiday tradition in the very worst way. Not too long after Air Madrid pulled these same shenanigans before Christmas a couple years ago, Air Comet did the exact same thing. Actually they were shut down by the authorities. It was another airline that exploded in size taking Spaniards to warmer weather, and now it’s gone thanks to, well, being broke. I would hate to be a Spaniard – booking travel for the holidays is a hazardous experience. Maybe you guys should just drive or take boats from now on. That’s this year’s list. If I missed anything you think is important, feel free to drop it in the comments section. Happy New Year to all, and I’ll be back with you again on Monday. Interesting list, thanks for posting, Happy New Year! It always seems sad to hear of ‘old’ airlines that vanish after so many years no matter where in the world they may be, even if you never flew them. Air Comet’s demise also means the exit of Grupo Marsans of Spain from the airline business. At one time, they owned not just Air Comet, but also Aerolineas del Sur (later known as Air Comet Chile), Aerolineas Argentinas, and Austral in Argentina. At least watching the Latin American aviation scene remains somewhat entertaining! Ledbedev is one of the good guys in Russia, so we should hope it is a guy like him, rather than the extortionists in the FSB and backing Putin who gets control of such an airline. There are plenty of oligarchs in Russia who are thieves. Ledbedev seems one that we would actually work with. Since you mourn the airline-within-an-airline (see Song from last year)… we shall all mourn the passing of TED, whom wikipedia says died January 6, 2009. It was survived by its parent, United. I’m surprised that Midwest Airlines isn’t on here. Sure its still a brand, but its no longer an airline in its own right. It is similar to how last year Midwest Connect was just a ground handling company and no longer an airline..
Great job! You should do a blog on new airlines as well. Ryanair takeover of Aer Lingus???? Happy New Year, everyone! Safe travels to all. I hemmed and hawed on that one – it was announced it was going away last year, but really, they didn’t finish reconfiguring the planes until this year. I suppose Ted can just live on in the comments section. I’m surprised that Midwest Airlines isn’t on here. True – that could have been added since they no longer fly airplanes. Ugh, no. I try to stay away from that since I’m always wrong. I was thinking that they’d be on the 2010 list. I mean, they aren’t quite completely out of mind yet. I think by this time next year, it’ll be all Delta. Good thing your blog isn’t about banks. Your year-end list might take you a year to write! I believe tonight is the last NW flight. As of 1/1/10 it is all Delta, even if painted NW. I have a gut feeling that BA will make the 2010 list for next year. Their future is very grim. How About BCT based Dayjet..
What’s LOST behind all those airlines are “employees” who LOST their jobs. Early in my career, the early 80’s, I went through TWO liquidations. Rough start to an industry I’ve spent my life in for thirty years now. I remember getting woke up by a phone call and hearing, “We went under, all the planes were grounded today.” Dragging myself to the unemployment office and being treated like I was asking for a hand out. Botherway, that call came when I was on vacation in TPA. The second bankruptcy came just before Xmas in 84. No job, no Xmas and back to the unemployment office for a second time. To those of you who LOST jobs. GOOD LUCK. This is not just a “list” – I love your comments: witty, thoughtful, knowledgeable. Cry me a river! I’m really going to miss Zambian Airlines. Every year I enjoy this list. 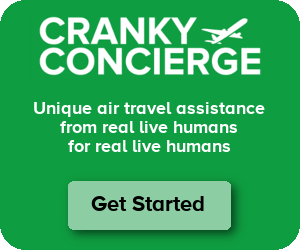 Keep up the good work on both the blog and Cranky Concierge. Happy 2010, Brett. I also can see British Airways going defunct this year. Pensions, high cost structure, etc,etc. They have missed the boat with regards to a major fleet renewal while still flying far to many 747s instead of a fleet of 773ERs. Standard & Poors placed BA’s debt rating on credit watch with negative implications. I also fear for BA making it through this year. MacAir (regional Australia) went down in 2009. Had been around for 17 years and had a fleet of 10 aircraft made up of SAAB 340B, ATR42 and a couple of Metros. Pretty good service couldn’t make up for ‘Alitalia’ management! If the economy remains stagnant this year which all indicators are pointing to, BA will go down. It might be the best thing that would happen to them as they could wipe out all debt and bust the unions. Lan Shili. That’s too funny. BA will go down and out. High cost structure, unhappy workforce, no room for expansion at LHR, non competitive quad engined long haul fleet, weak European network and passenger feed, huge pension debt and the threat of another strike from the cabin crew, etc. It would sure ease conjestion at London airport if BA wern’t around! Another year, and you still don’t get to write an obituary on your favorite worst airline of all time. Interesting to see this list! I recall flying on a few Air Fiji flights, and though having a single guy in the cockpit was a bit un-nerving (I always wanted to ask the pilot if he was in good health), they always managed to hit the runway (or the grass landing strip, on a few occasions). If BA disappear, I bet Ryanair would love to move into T5 and create a lo cost international airline. They would have the European feed and would be very successful with a lo cost model. Tragic to see the delta monster consume the wonderful NORTHWEST. Hope the delta widget will be banished from air sometime soon. Great post! I found this surfing the web. Fun article! Loved the frindly writting! LOL.. Airlines.. who needs them? =P right? LOL!